An academic discipline or academic field, also known as a field of study, field of inquiry, research field and branch of knowledge, is a subdivision of knowledge that is taught and researched at the college or university level. Disciplines are defined, and recognized by the academic journals in which research is published, and the learned societies and academic departments or faculties to which their practitioners belong. It includes scientific disciplines. A society is a group of individuals involved in persistent social interaction, or a large social group sharing the same geographical or social territory, typically subject to the same political authority and dominant cultural expectations. Societies are characterized by patterns of relationships between individuals who share a distinctive culture and institutions; a given society may be described as the sum total of such relationships among its constituent of members. In the social sciences, a larger society often exhibits stratification or dominance patterns in subgroups. In social science, a social relation or social interaction is any relationship between two or more individuals. Social relations derived from individual agency form the basis of social structure and the basic object for analysis by social scientists. Fundamental inquiries into the nature of social relations feature in the work of sociologists such as Max Weber in his theory of social action. Positivism is a philosophical theory stating that certain ("positive") knowledge is based on natural phenomena and their properties and relations. Thus, information derived from sensory experience, interpreted through reason and logic, forms the exclusive source of all certain knowledge. Positivism holds that valid knowledge is found only in this a posteriori knowledge. Natural science is a branch of science concerned with the description, prediction, and understanding of natural phenomena, based on empirical evidence from observation and experimentation. Mechanisms such as peer review and repeatability of findings are used to try to ensure the validity of scientific advances. In social science, antipositivism is a theoretical stance, which proposes that the social realm cannot be studied with the scientific method of investigation applied to Nature, and that investigation of the social realm requires a different epistemology. Fundamental to that antipositivist epistemology is the belief that the concepts and language that researchers use in their researches shape their perceptions of the social world they are investigating, studying, and defining. The Age of Enlightenment was an intellectual and philosophical movement that dominated the world of ideas in Europe during the 18th century, the "Century of Philosophy". Natural philosophy or philosophy of nature was the philosophical study of nature and the physical universe that was dominant before the development of modern science. It is considered to be the precursor of natural science. The Age of Revolution is the period from approximately 1774 to 1849 in which a number of significant revolutionary movements occurred in many parts of Europe and the Americas. The period is noted for the change in government from absolutist monarchies to constitutionalist states and republics. The Age of Revolution includes the American Revolution, the French Revolution, the Irish Rebellion of 1798, the Haitian Revolution, the revolt of slaves in Latin America, the Revolutions of 1848, the French Revolution of 1848, the First Italian War of Independence, Sicilian revolution of 1848, and the 1848 revolutions in Italy; and the independence movements of Spanish and Portuguese colonies in Latin America. In a way, it includes the Industrial Revolution. The period would generally weaken the imperialist European states, who would lose major assets throughout the New World. For the British, the loss of the Thirteen Colonies would bring a change in direction for the British Empire, with Asia and the Pacific becoming new targets for expansion. In France, the House of Bourbon was dethroned after nearly 8 centuries on the throne. The French Revolution culminated in the crowning of Emperor Napoleon Bonaparte, and partially inspired the Russian Revolution and the rise of communism. 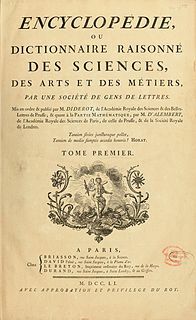 Encyclopédie, ou dictionnaire raisonné des sciences, des arts et des métiers, better known as Encyclopédie, was a general encyclopedia published in France between 1751 and 1772, with later supplements, revised editions, and translations. It had many writers, known as the Encyclopédistes. It was edited by Denis Diderot and, until 1759, co-edited by Jean le Rond d'Alembert. Jean-Jacques Rousseau was a Genevan philosopher, writer and composer. His political philosophy influenced the progress of the Enlightenment throughout Europe, as well as aspects of the French Revolution and the development of modern political, economic and educational thought. Metaphysics is the branch of philosophy that examines the fundamental nature of reality, including the relationship between mind and matter, between substance and attribute, and between possibility and actuality. The word "metaphysics" comes from two Greek words that, together, literally mean "after or behind or among [the study of] the natural". It has been suggested that the term might have been coined by a first century CE editor who assembled various small selections of Aristotle’s works into the treatise we now know by the name Metaphysics. Following this period, there were five paths of development that sprang forth in the social sciences, influenced by Comte on other fields. One route that was taken was the rise of social research. Large statistical surveys were undertaken in various parts of the United States and Europe. Another route undertaken was initiated by Émile Durkheim, studying "social facts", and Vilfredo Pareto, opening metatheoretical ideas and individual theories. A third means developed, arising from the methodological dichotomy present, in which social phenomena were identified with and understood; this was championed by figures such as Max Weber. The fourth route taken, based in economics, was developed and furthered economic knowledge as a hard science. The last path was the correlation of knowledge and social values; the antipositivism and verstehen sociology of Max Weber firmly demanded this distinction. In this route, theory (description) and prescription were non-overlapping formal discussions of a subject. 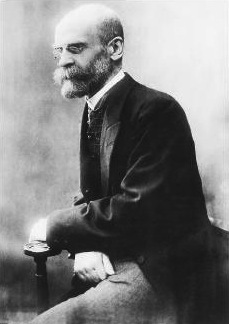 David Émile Durkheim was a French sociologist. He formally established the academic discipline and—with W. E. B. Du Bois, Karl Marx and Max Weber—is commonly cited as the principal architect of modern social science. Vilfredo Federico Damaso Pareto was an Italian engineer, sociologist, economist, political scientist, and philosopher. He made several important contributions to economics, particularly in the study of income distribution and in the analysis of individuals' choices. He was also responsible for popularising the use of the term "elite" in social analysis. 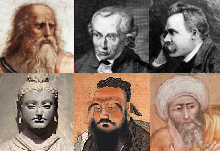 Around the start of the 20th century, Enlightenment philosophy was challenged in various quarters. After the use of classical theories since the end of the scientific revolution, various fields substituted mathematics studies for experimental studies and examining equations to build a theoretical structure. The development of social science subfields became very quantitative in methodology. The interdisciplinary and cross-disciplinary nature of scientific inquiry into human behaviour, social and environmental factors affecting it, made many of the natural sciences interested in some aspects of social science methodology. Examples of boundary blurring include emerging disciplines like social research of medicine, sociobiology, neuropsychology, bioeconomics and the history and sociology of science. Increasingly, quantitative research and qualitative methods are being integrated in the study of human action and its implications and consequences. In the first half of the 20th century, statistics became a free-standing discipline of applied mathematics. Statistical methods were used confidently. Methodology is the systematic, theoretical analysis of the methods applied to a field of study. It comprises the theoretical analysis of the body of methods and principles associated with a branch of knowledge. Typically, it encompasses concepts such as paradigm, theoretical model, phases and quantitative or qualitative techniques. Medicine is the science and practice of establishing the diagnosis, prognosis, treatment, and prevention of disease. Medicine encompasses a variety of health care practices evolved to maintain and restore health by the prevention and treatment of illness. Contemporary medicine applies biomedical sciences, biomedical research, genetics, and medical technology to diagnose, treat, and prevent injury and disease, typically through pharmaceuticals or surgery, but also through therapies as diverse as psychotherapy, external splints and traction, medical devices, biologics, and ionizing radiation, amongst others. 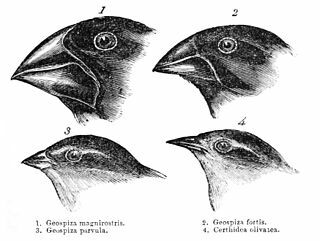 Sociobiology is a field of biology that aims to examine and explain social behavior in terms of evolution. It draws from disciplines including ethology, anthropology, evolution, zoology, archaeology, and population genetics. Within the study of human societies, sociobiology is closely allied to Darwinian anthropology, human behavioral ecology and evolutionary psychology. The anthropological social sciences often develop nuanced descriptions rather than the general laws derived in physics or chemistry, or they may explain individual cases through more general principles, as in many fields of psychology. Anthropology (like some fields of history) does not easily fit into one of these categories, and different branches of anthropology draw on one or more of these domains. Within the United States, anthropology is divided into four sub-fields: archaeology, physical or biological anthropology, anthropological linguistics, and cultural anthropology. It is an area that is offered at most undergraduate institutions. The word anthropos (ἄνθρωπος) in Ancient Greek means "human being" or "person". Eric Wolf described sociocultural anthropology as "the most scientific of the humanities, and the most humanistic of the sciences." The goal of anthropology is to provide a holistic account of humans and human nature. This means that, though anthropologists generally specialize in only one sub-field, they always keep in mind the biological, linguistic, historic and cultural aspects of any problem. Since anthropology arose as a science in Western societies that were complex and industrial, a major trend within anthropology has been a methodological drive to study peoples in societies with more simple social organization, sometimes called "primitive" in anthropological literature, but without any connotation of "inferior". 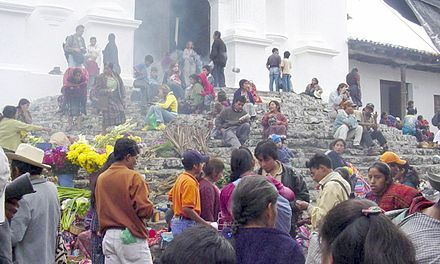 Today, anthropologists use terms such as "less complex" societies or refer to specific modes of subsistence or production, such as "pastoralist" or "forager" or "horticulturalist" to refer to humans living in non-industrial, non-Western cultures, such people or folk (ethnos) remaining of great interest within anthropology. Economics is a social science that seeks to analyze and describe the production, distribution, and consumption of wealth. The word "economics" is from the Ancient Greek οἶκοςoikos, "family, household, estate", and νόμος nomos, "custom, law", and hence means "household management" or "management of the state". An economist is a person using economic concepts and data in the course of employment, or someone who has earned a degree in the subject. The classic brief definition of economics, set out by Lionel Robbins in 1932, is "the science which studies human behavior as a relation between scarce means having alternative uses". Without scarcity and alternative uses, there is no economic problem. Briefer yet is "the study of how people seek to satisfy needs and wants" and "the study of the financial aspects of human behavior". Geography as a discipline can be split broadly into two main sub fields: human geography and physical geography. The former focuses largely on the built environment and how space is created, viewed and managed by humans as well as the influence humans have on the space they occupy. This may involve cultural geography, transportation, health, military operations, and cities. The latter examines the natural environment and how the climate, vegetation and life, soil, oceans, water and landforms are produced and interact. Physical geography examines phenomena related to the measurement of earth. As a result of the two subfields using different approaches a third field has emerged, which is environmental geography. Environmental geography combines physical and human geography and looks at the interactions between the environment and humans. Other branches of geography include social geography, regional geography, and geomatics. Aristotle asserted that man is a political animal in his Politics . Political science is methodologically diverse, although recent years have witnessed an upsurge in the use of the scientific method,  [ page needed ] that is, the proliferation of formal-deductive model building and quantitative hypothesis testing. Approaches to the discipline include rational choice, classical political philosophy, interpretivism, structuralism, and behaviouralism, realism, pluralism, and institutionalism. Political science, as one of the social sciences, uses methods and techniques that relate to the kinds of inquiries sought: primary sources such as historical documents, interviews, and official records, as well as secondary sources such as scholarly articles are used in building and testing theories. Empirical methods include survey research, statistical analysis or econometrics, case studies, experiments, and model building. Herbert Baxter Adams is credited with coining the phrase "political science" while teaching history at Johns Hopkins University. Sociology is the systematic study of society, individuals' relationship to their societies, the consequences of difference, and other aspects of human social action. The meaning of the word comes from the suffix "-logy", which means "study of", derived from Ancient Greek, and the stem "soci-", which is from the Latin word socius, meaning "companion", or society in general. Sociology evolved as an academic response to the challenges of modernity, such as industrialization, urbanization, secularization, and a perceived process of enveloping rationalization. The field generally concerns the social rules and processes that bind and separate people not only as individuals, but as members of associations, groups, communities and institutions, and includes the examination of the organization and development of human social life. The sociological field of interest ranges from the analysis of short contacts between anonymous individuals on the street to the study of global social processes. In the terms of sociologists Peter L. Berger and Thomas Luckmann, social scientists seek an understanding of the Social Construction of Reality . Most sociologists work in one or more subfields. One useful way to describe the discipline is as a cluster of sub-fields that examine different dimensions of society. For example, social stratification studies inequality and class structure; demography studies changes in a population size or type; criminology examines criminal behaviour and deviance; and political sociology studies the interaction between society and state. Since its inception, sociological epistemologies, methods, and frames of enquiry, have significantly expanded and diverged. Sociologists use a diversity of research methods, collect both quantitative and qualitative data, draw upon empirical techniques, and engage critical theory. Common modern methods include case studies, historical research, interviewing, participant observation, social network analysis, survey research, statistical analysis, and model building, among other approaches. Since the late 1970s, many sociologists have tried to make the discipline useful for purposes beyond the academy. The results of sociological research aid educators, lawmakers, administrators, developers, and others interested in resolving social problems and formulating public policy, through subdisciplinary areas such as evaluation research, methodological assessment, and public sociology. In the early 1970s, women sociologists began to question sociological paradigms and the invisibility of women in sociological studies, analysis, and courses. In 1969, feminist sociologists challenged the discipline's androcentrism at the American Sociological Association's annual conference. This led to the founding of the organization Sociologists for Women in Society, and, eventually, a new sociology journal, Gender & Society. Today, the sociology of gender is considered to be one of the most prominent sub-fields in the discipline. Public administration is one of the main branches of political science, and can be broadly described as the development, implementation and study of branches of government policy. The pursuit of the public good by enhancing civil society and social justice is the ultimate goal of the field. Though public administration has been historically referred to as government management,  it increasingly encompasses non-governmental organizations (NGOs) that also operate with a similar, primary dedication to the betterment of humanity. The origin of the survey can be traced back at least early as the Domesday Book in 1086,   while some scholars pinpoint the origin of demography to 1663 with the publication of John Graunt's Natural and Political Observations upon the Bills of Mortality. 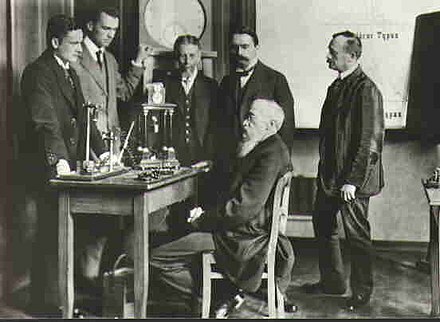 Social research began most intentionally, however, with the positivist philosophy of science in the 19th century. Social scientists will commonly combine quantitative and qualitative approaches as part of a multi-strategy design. Questionnaires, field-based data collection, archival database information and laboratory-based data collections are some of the measurement techniques used. It is noted the importance of measurement and analysis, focusing on the (difficult to achieve) goal of objective research or statistical hypothesis testing. A mathematical model uses mathematical language to describe a system. The process of developing a mathematical model is termed 'mathematical modelling' (also modeling). Eykhoff (1974) defined a mathematical model as 'a representation of the essential aspects of an existing system (or a system to be constructed) that presents knowledge of that system in usable form'. Mathematical models can take many forms, including but not limited to dynamical systems, statistical models, differential equations, or game theoretic models. ↑ A Bachelor of Social Science degree can be earned at the University of Adelaide, University of Waikato (Hamilton, New Zealand), University of Sydney, University of New South Wales, University of Hong Kong, University of Manchester, Lincoln University, New Zealand, National University of Malaysia and University of Queensland. An academic discipline or field of study is a branch of knowledge, taught and researched as part of higher education. 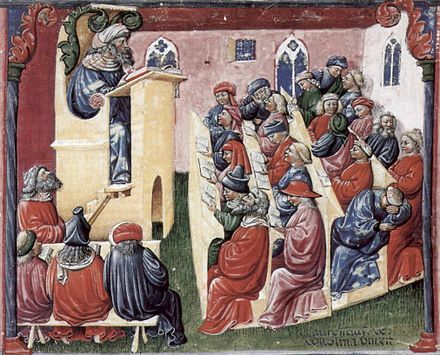 A scholar's discipline is commonly defined by the university faculties and learned societies to which she or he belongs and the academic journals in which she or he publishes research. Communication studies or communication sciences is an academic discipline that deals with processes of human communication and behavior. There are three types of communication: verbal, involving listening to a person to understand the meaning of a message; written, in which a message is read; and nonverbal communication involving observing a person and inferring meaning. The discipline encompasses a range of topics, from face-to-face conversation to mass media outlets, such as television broadcasting. UNESCO Nomenclature is a system developed by UNESCO for classification of research papers and doctoral dissertations. There are three versions of the system, offering different levels of refinement through 2-, 4-, and 6-digit codes. Behavioural sciences explore the cognitive processes within organisms and the behavioural interactions between organisms in the natural world. It involves the systematic analysis and investigation of human and animal behavior through the study of the past, controlled and naturalistic observation of the present, and disciplined scientific experimentation and modeling. It attempts to accomplish legitimate, objective conclusions through rigorous formulations and observation. Examples of behavioral sciences include psychology, psychobiology, anthropology, and cognitive science. Generally, behavior science deals primarily with human action and often seeks to generalize about human behavior as it relates to society. Affective science is the scientific study of emotion or affect. This includes the study of emotion elicitation, emotional experience and the recognition of emotions in others. In particular the nature of feeling, mood, emotionally driven behaviour, decision making, attention and self-regulation, as well as the underlying physiology and neuroscience of the emotions. The University of British Columbia (UBC) is a Canadian public research university with campuses in Vancouver and Kelowna, British Columbia. The following is a list of faculties and schools at UBC. The National Distance Education University, known in Spanish as Universidad Nacional de Educación a Distancia (UNED), is a distance learning and research university founded in 1972 and is the only university run by the central government of Spain. It has headquarters in Madrid, Spain, with campuses in all Spanish autonomous communities. In addition, there are 14 study centres, and 3 exam points, in 13 countries in Europe, Americas and Africa. The University awards undergraduate and postgraduate degrees, as well as non-degree qualifications such as diplomas and certificates, or continuing education units. The history of the social sciences has origin in the common stock of Western philosophy and shares various precursors, but began most intentionally in the early 19th century with the positivist philosophy of science. Since the mid-20th century, the term "social science" has come to refer more generally, not just to sociology, but to all those disciplines which analyse society and culture; from anthropology to linguistics to media studies. Sociocultural linguistics is a term used to encompass a broad range of theories and methods for the study of language in its sociocultural context. Its growing use is a response to the increasingly narrow association of the term sociolinguistics with specific types of research involving the quantitative analysis of linguistic features and their correlation to sociological variables. The term as it is currently used not only clarifies this distinction, but highlights an awareness of the necessity for transdisciplinary approaches to language, culture and society. Херсонский государственный университет-украинский университет, расположенный в Херсоне. ↑ Kuper, Adam (1996). The Social Science Encyclopedia. Taylor & Francis. ISBN 978-0-415-10829-4. 1 2 3 4 5 6 7 Kuper, A., and Kuper, J. (1985). The Social Science Encyclopaedia. 1 2 Social sciences, Columbian Cyclopedia. (1897). Buffalo: Garretson, Cox & Company. p. 227. ↑ Peck, H.T., Peabody, S.H., and Richardson, C.F. (1897). The International Cyclopedia, A Compendium of Human Knowledge. Rev. with large additions. New York: Dodd, Mead and Company. ↑ William Thompson (1775–1833) (1824). An Inquiry into the Principles of the Distribution of Wealth Most Conducive to Human Happiness; applied to the Newly Proposed System of Voluntary Equality of Wealth. ↑ Vessuri, H. (2002). "Ethical Challenges for the Social Sciences on the Threshold of the 21st Century". Current Sociology. 50: 135–50. doi:10.1177/0011392102050001010. 1 2 Lazear, E.P. (2000). "Economic Imperialism". The Quarterly Journal of Economics. 115: 99–146. doi:10.1162/003355300554683. ↑ Wallerstein, I. (2003). "Anthropology, Sociology, and Other Dubious Disciplines". Current Anthropology. 44 (4): 453–65. doi:10.1086/375868. ↑ Lowie, Robert (1924). Primitive Religion. Routledge and Sons. ; Tylor, Edward (1920). Primitive Culture. New York:: J.P. Putnam's Sons. Originally published 1871. ↑ "What is geography?". AAG Career Guide: Jobs in Geography and Related Geographical Sciences. Association of American Geographers. Archived from the original on October 6, 2006. Retrieved October 9, 2006. ↑ Hayes-Bohanan, James. "What is Environmental Geography, Anyway?" . Retrieved October 9, 2006. ↑ "About NEH". National Endowment for the Humanities. ↑ Robertson, Geoffrey (2006). Crimes Against Humanity. Penguin. p. 90. ISBN 978-0-14-102463-9. ↑ Hart, H.L.A. (1961). The Concept of Law. Oxford University Press. ISBN 978-0-19-876122-8. ↑ Dworkin, Ronald (1986). 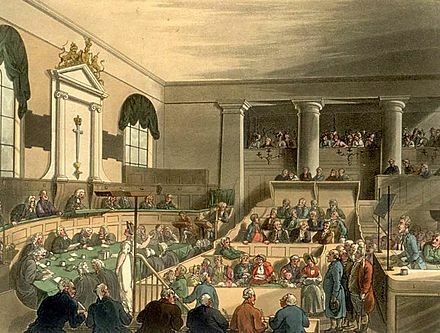 Law's Empire. Harvard University Press. ISBN 978-0-674-51836-0. ↑ Raz, Joseph (1979). The Authority of Law. Oxford University Press. ISBN 978-0-19-956268-8. ↑ Austin, John (1831). The Providence of Jurisprudence Determined. ↑ Ebenstein, Alan (2002). Introduction to Political Thinkers. Boston, Massachusetts: Wadsworth. ↑ Hindmoor, Andrew (2006-08-08). Rational Choice. ISBN 978-1-4039-3422-2. ↑ Witt, Jon (2018). SOC 218. McGraw-Hill. p. 2. ISBN 978-1-259-70272-3. 1 2 Witt, Jon (2018). SOC 2018. McGraw-Hill. ISBN 978-1-259-70272-3. ↑ Giddens, Anthony, Duneier, Mitchell, Applebaum, Richard. 2007. Introduction to Sociology. Sixth Edition. New York: W.W. Norton and Company. Chapter 1. ↑ Lorber, Judith (1994). Paradoxes of Gender. New Haven, CT: Yale University Press. ISBN 978-0-300-06497-1. ↑ Laube, Heather; Hess, Bess B. (2001). "The Founding of SWS". Sociologists for Women in Society. Retrieved February 5, 2018. ↑ Zaki Badawi, A (2002). Dictionary of the Social Sciences – Oxford Reference. doi:10.1093/acref/9780195123715.001.0001. ISBN 978-0-19-512371-5. ↑ Josephson-Storm, Jason (2017). The Myth of Disenchantment: Magic, Modernity, and the Birth of the Human Sciences. Chicago: University of Chicago Press. pp. 101–14. ISBN 978-0-226-40336-6. ↑ Peterson's (Firm : 2006– ). (2007). Peterson's graduate programs in the humanities, arts, & social sciences, 2007. Lawrenceville, New Jersey: Peterson's. Neil J. Smelser and Paul B. Baltes (2001). International Encyclopedia of the Social & Behavioral Sciences , Amsterdam: Elsevier. David L. Sills and Robert K. Merton (1968). International Encyclopedia of the Social Sciences .